This week, on The Scrap Gals Podcast, we're sharing a list of 20 tips and tricks for using themed patterned paper, stickers, die cuts and other embellishments! I hope you'll listen to the show and keep this list for a handy reference guide when you want to make a themed layout. I know I plan to! #1: Cluster embellishments together in a straight line across the page. 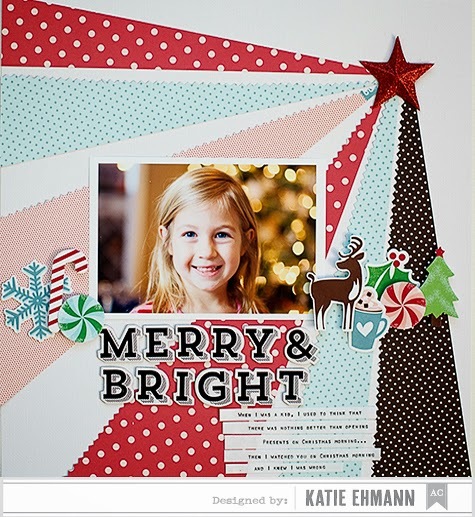 This awesome page by Katie Ehmann for American Crafts makes a big splash with the embellishments layered in a line. Posted at this link at the American Crafts blog. 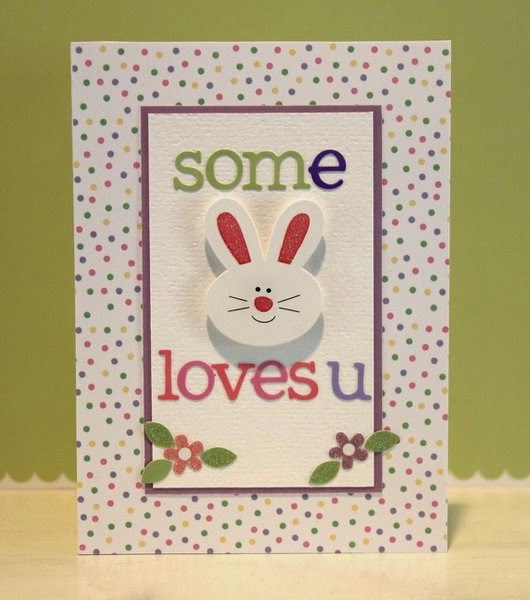 #2: Use a themed die cut, sticker or stamp for the focal point of a card. Ya gotta love a great bunny sticker. This one's by Doodlebug. This card was a snap to make! #3: Make the perfect spot for your themed product with a grid design layout. 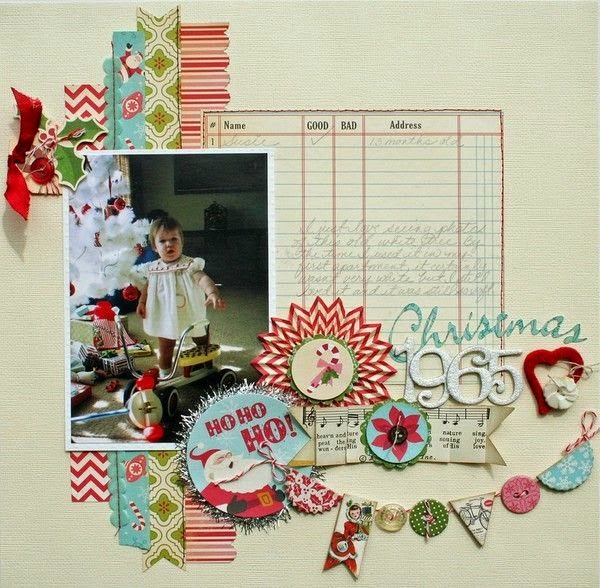 I LOVE this layout by Laura Vegas (one of my all time favorite scrappers). I can see replicating this layout with so many different themes. I love a grid design and the squares are the perfect spot for a cute themed embellishment! 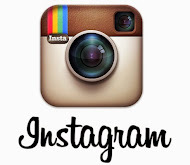 Check out Laura's blog at this link - she is someone you'll want to follow! #4: Incorporate something themed into your title by substituting a letter. #5: Use a themed embellishment on either side of your title. 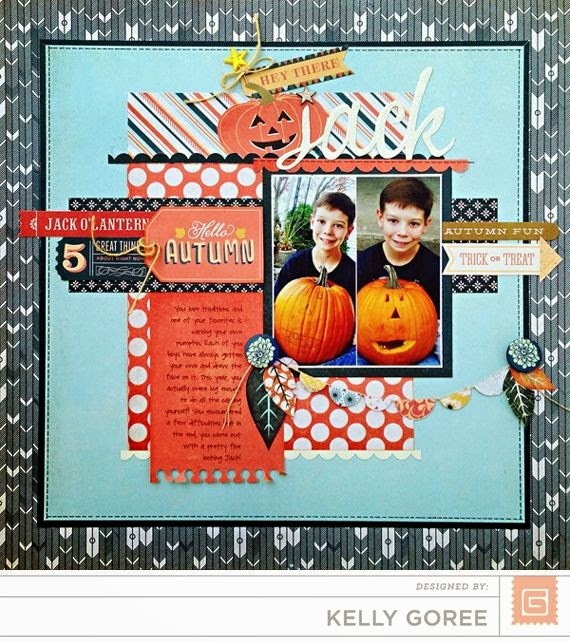 #6: Build your page around a large embellishment. Make it the focal point. I loved this clown so much, I built my entire page around it. #7: Use themed pattern paper as an embellishment. Sometimes the theme of the paper is so busy, it's really all you need! When that is the case, try using non-themed, generic embellishments instead of more themed. #8: Build a scene with your themed embellishments. I'm totally breaking out the tree stickers now! 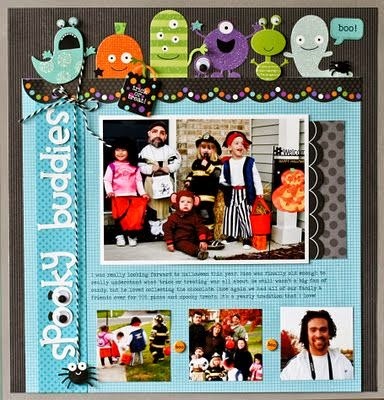 Visit Jillibean Soup's blog post to view this layout, by Tona, at this link. #9: Tuck a themed sticker or die cut behind your photo and let it peek out. #10: Look for non-themed opportunities in your themed product. Don't just look through your themed product when you need a themed sticker...remember there are often generic shapes included in holiday or event sticker sheets or die cut packs. 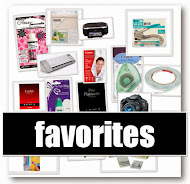 #11: Make a banner to hang a group of themed embellishments from. Punch a small hole at the top of a few die cuts and string them along in a corner or across the page. #12: Use a white background so your theme will shine. 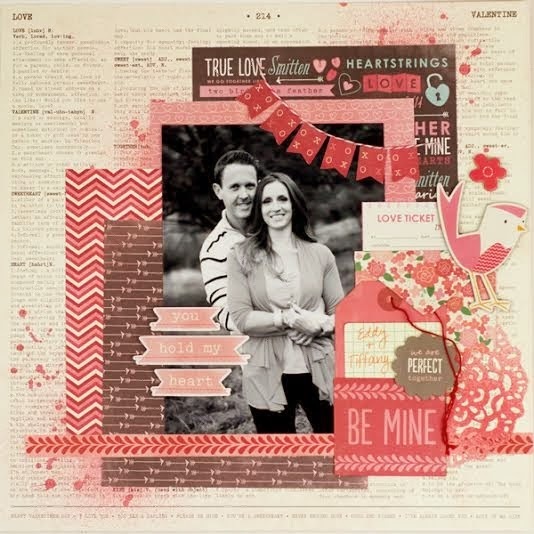 This layout is by Susan Stringfellow and I love it! 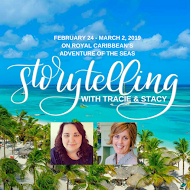 Visit Susan's blog by clicking this link. #13: Divide your page into thirds and keep the theme in the top or bottom third. 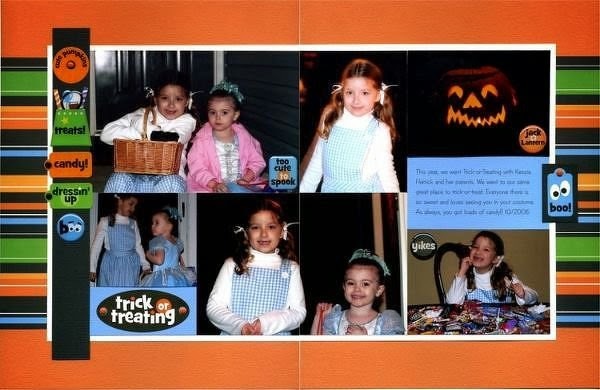 The layout below is a little less than 1/3 of the page but you get the idea! 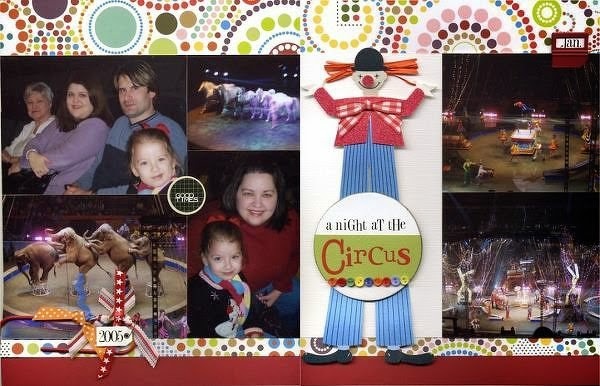 #14: Cluster themed embellishments around one side of your photo. 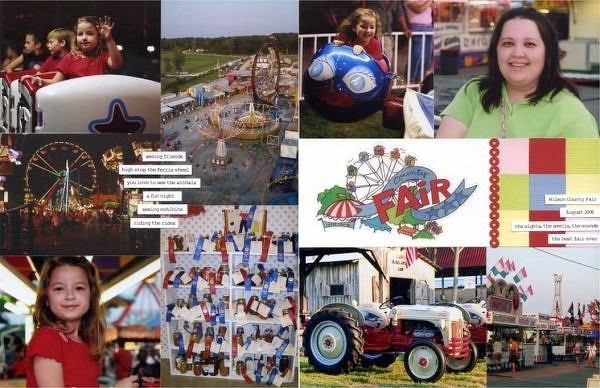 See more incredible layouts by Tiffany Hood at this link. #15: Create a visual triangle with 3 themed embellishments. See more of Kelly's incredible work here at her blog. #16: Push your theme to the edge. 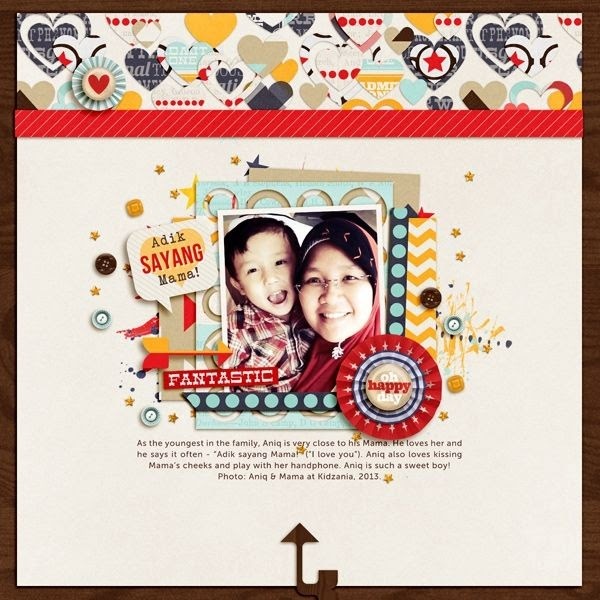 Mat your entire page with a border of themed patterned paper. Just a little goes a long way so leave only 1-2" of busy pattern showing on your border. #17: Ground your themed embellishment on a tag. Sometimes when the pictures are really busy, as they are here, I like to keep everything simple and just use one or two themed embellishments. The kitty cat title is just a sticker I grounded on a chipboard tag. The orange paper is Halloween themed but it's very subtle to keep the layout clean. #18: Cluster your title with a grouping of themed embellishments. Mix several themed stickers or die cuts together with your title to make it all more interesting! 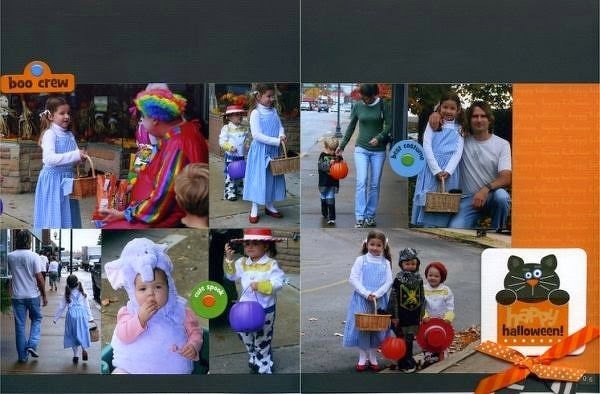 #19: Use a semi-circle at the top of your page and sit a themed sticker inside. #20: Make your theme go around the block. Block off sections on your layout and leave one or two sections available for themed embellishments. Here, I've used an older "Fair" sticker but I think the page still looks up to date because the rest of it is clean and simple. I hope you enjoyed this list and feel inspired now to make some pages with a theme! Share your best tip or trick for using themed embellishments by commenting below! Go and be crafty my friends! Great list! I can't wait to listen to the podcast. What a great compilation! Thanks for sharing! guess who's pinning this blog post? i adored this scrapgals episode, but i always do.